So after 9 days in Portrush, the 2017 World Surf Kayak Championship hosted by CANI and WSKA has come to an end and with it a very mixed bag of weather and surf conditions – everything from 2ft to 12ft!! HP (High Performance) and IC (International Class) boats and paddlers from all over put on some top notch displays. 3 days of individual competition brought with them some big positives for a lot of those representing Ireland, culminating in Jamie O’ Brien now being the Junior IC World Champion. Jamie had another podium placing, finishing 3rd in the Junior HP final. The Phoenix Kayak Club member was on absolutely killing it in the surf throughout the competition! Jamie, sponsored by Double Dutch Paddles and Coucon Outdoor, is also a whitewater and freestyle kayaker and is sure to be an asset to any other sponsors that will come his way. Aisling Griffin was in the Ladies IC final. Unfortunately the final did not go Aisling’s way as she was extremely unlucky to finish 4th but she can definitely hold her head high as 4th in the world. 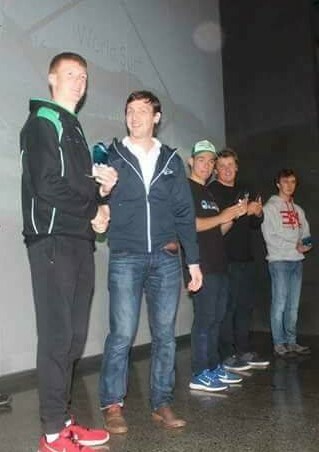 In the team event 9 countries were represented. 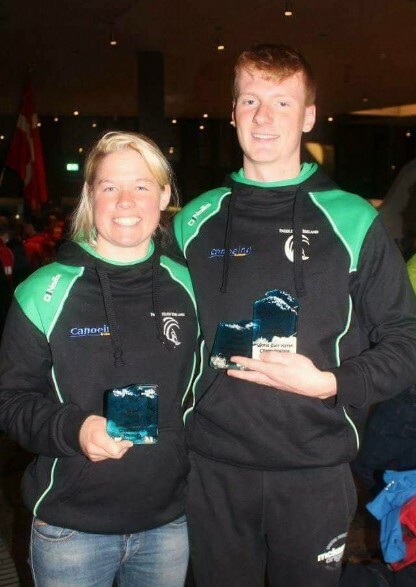 By the end of the first day of teams comp, Paddlesurf Ireland had made it through to the top 4 (Final A), pipping Ulster Paddlesurf by just a single point. 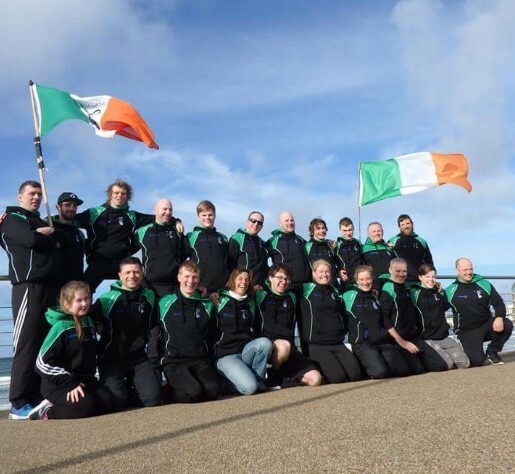 The teams final saw Ireland up against Basque Country, England and Wales. 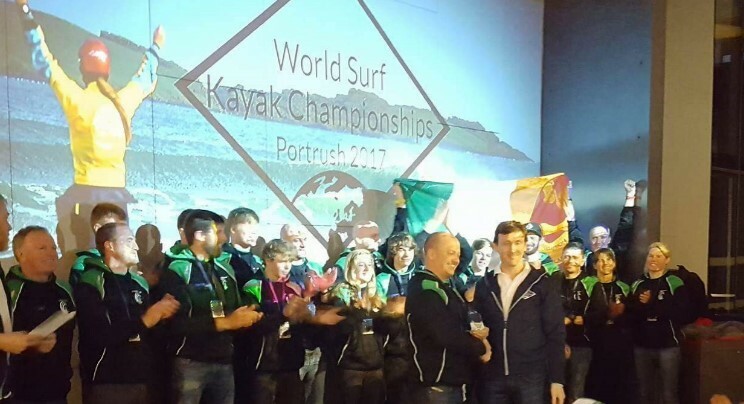 In the end it was Paddlesurf Ireland in 4th missing out on the 3rd place spot which was nabbed by Wales, by only 3 points, England in 2nd and Basque Country in 1st. There was plenty of banter, and at times some rivalry, between all of the competitors during the 9 days and long may it continue over the course of all future competitions. The next World Championships are destined for Peru in 2019. It’s fair to say that all who competed in Portrush are hungry for the waves Peru has to offer. 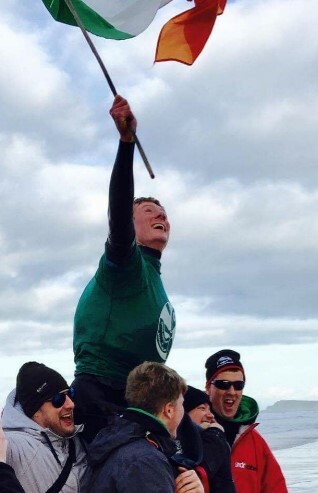 The Paddlesurf Ireland team would like to express their gratitude to Eight Degrees Brewery (Mitchelstown, Co. Cork), Herlihy’s Centra (Fermoy, Co. Cork), P&T Precision Engineering (Kilcullen, Co. Kildare) and Pfizer Ireland Pharmaceuticals (Ringaskiddy, Co. Cork) for the generous sponsorships towards the team’s time in Portrush.